Below are upcoming events scheduled by the Foundation. Check back occasionally for updates. 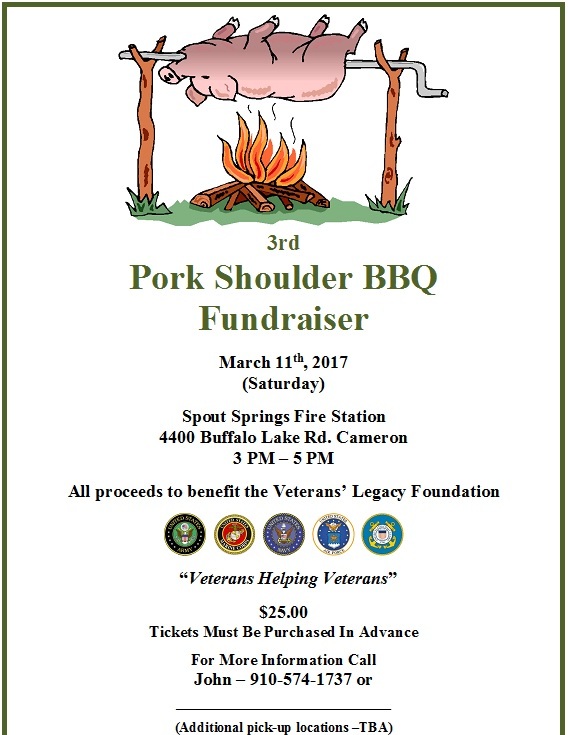 This is a a local fundraiser event for the Harnett and surrounding counties. Please contact us if you have any questions. VLF will be honoring a number of veterans who served during WWI. The families of these veterans will be receiving their awards, which comes within weeks of the 100th anniversary of the US entry into the War. This year’s annual ride is early to beat the heat. The ride is planned for a leisurely country ride. We welcome again this year POVs (personal vehicles) to join the ride (registration fee remains the same, however no charge for children). You can register early by going on the website/Facebook page and use the donate button and put Bike Ride in the comments section (and include your t-shirt size). Local riders can also pre-register with Craig Hardy (Rolling Thunder NC1). 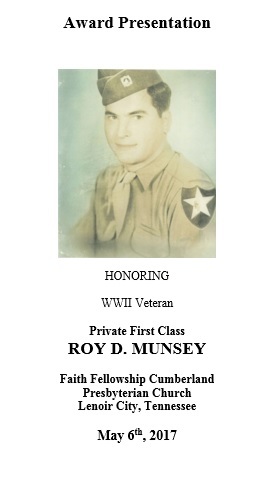 Mr. Roy Munsey, who served with the 44th Infantry Division during WWII, will be receiving awards that he earned and were lost as well as an award that he never received.